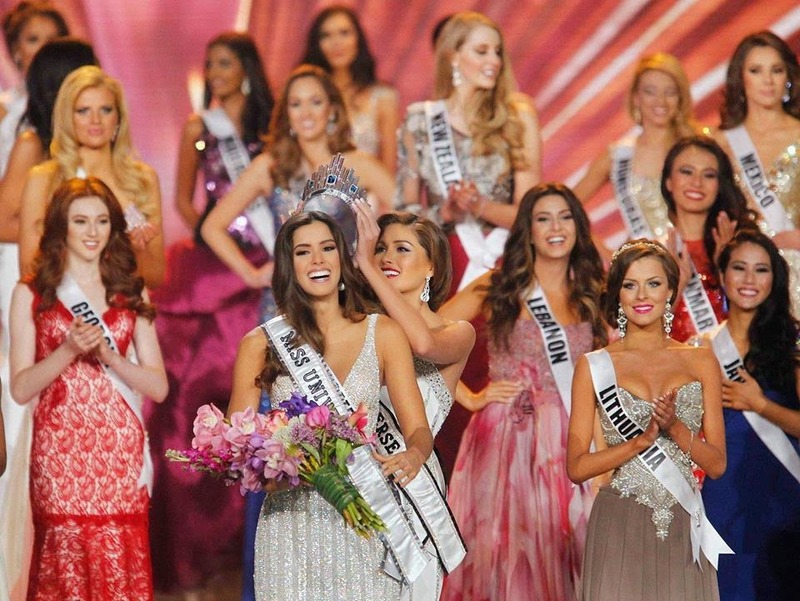 MIAMI, Florida, United States - Paulina Vega Dieppa (22; 1.78m; Barranquilla, COLOMBIA) was crowned Miss Universe 2014 at the conclusion of the 63rd Miss Universe finals held at the U.S. Century Bank Arena at the Florida International University in Miami, Florida, United States on January 25, 2015. Nia Temple Sanchez (United States) was the first runner-up, Diana Harkusha (Ukraine) was the second runner-up, Yasmin Verheijden (Netherlands) was the third runner-up and Kaci Fennell (Jamaica) was the fourth runner-up. Valentina Ferrer Pezza (Argentina), Tegan Jade Martin (Australia), Mary Jean Lastimosa (Philippines), Desiré Cordero Ferrer (Spain) and Migbelis Lynette Castellanos Romero (Venezuela) were the top ten semifinalists. Melissa Holanda Gurgel (Brazil), Camille Cerf (France), Noyonita Lodh (India), Elvira Devinamira Wirayanti (Indonesia) and Valentina Bonariva (Italy) were the top fifteen quarterfinalists. Elvira Devinamira Wirayanti (Indonesia) won the Best National Costume award, Gabriela Berríos Pagán (Puerto Rico) won Miss Photogenic and Celestine Queen (Nigeria) won Miss Congeniality. 88 contestants competed for the crown. The returning nations were Kenya (2005), Egypt (2011), Portugal (2011), Albania (2012), Georgia (2012), Ireland (2012), Kosovo (2012), Saint Lucia (2012) and Uruguay (2012). 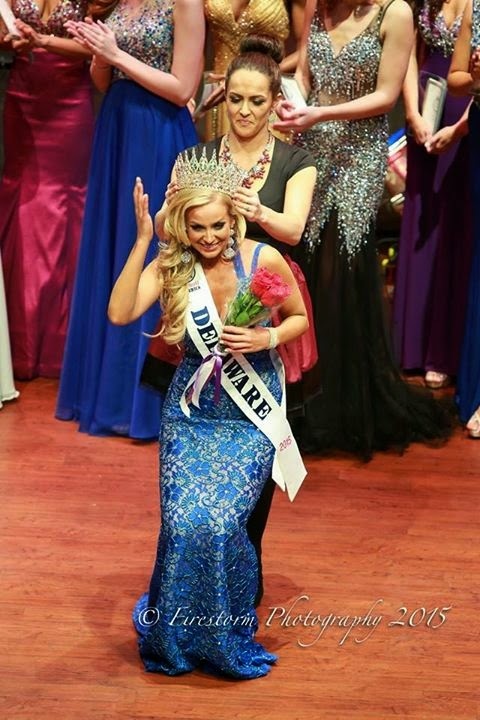 WILMINGTON, Delaware - Taylor DeMario was crowned Miss Delaware World 2015 at the World Cafe Live at the Queen in Wilmington on January 18. She will represent Delaware in Miss World America 2015 in Washington, District of Columbia on July 2015 and compete for the chance of representing the United States in Miss World 2015. 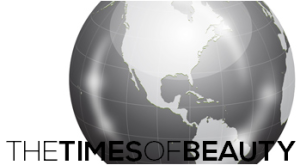 WASHINGTON, District of Columbia - Shannon Lynch was crowned Miss District of Columbia World 2015, Syanne Centeno was crowned Miss Maryland World 2015 and Arielle Sage Rosmarino was crowned Miss Virginia World 2015. They will represent District of Columbia, Maryland and Virginia, respectively, in Miss World America 2015 in Washington, District of Columbia in July 2015 and compete for the chance of representing the United States in Miss World 2015. All of them were crowned at the conclusion of the regional finals held at the The Sphinx Club in Washington, District of Columbia on January 11. DE PANNE, Belgium - Annelies Törös (19) was crowned Miss Belgium 2015 at the Plopsa Theater in De Panne on January 10. She will represent Belgium in Miss Universe 2015. The first runner-up was Leylah Alliët (23). She will represent Belgium in Miss World 2015. The second runner-up was Charlotte Vanbiervliet. 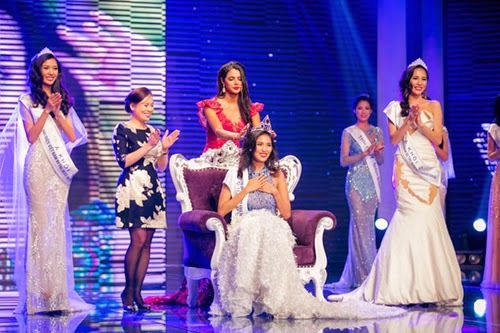 HO CHI MINH CITY, Vietnam - Trần Ngọc Lan Khuê (22, 1.76m) was crowned Miss World Vietnam 2015 at the GEM Center in Ho Chi Minh City on January 5. She will represent Vietnam in Miss World 2015. The first runner-up was Phạm Hồng Thúy Vân and she will compete in Miss International 2015. The second runner-up was Nguyễn Thị Lệ Quyên and will compete in Miss Supranational 2015. 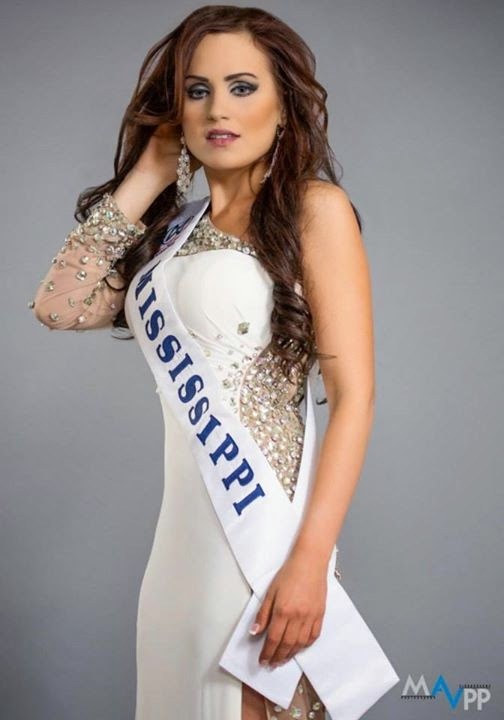 Carlyn Bradarich is Miss Illinois World 2015 and will represent Illinois in Miss World America 2015 in Washington, District of Columbia on July 2015 for the chance of representing the United States in Miss World 2015. 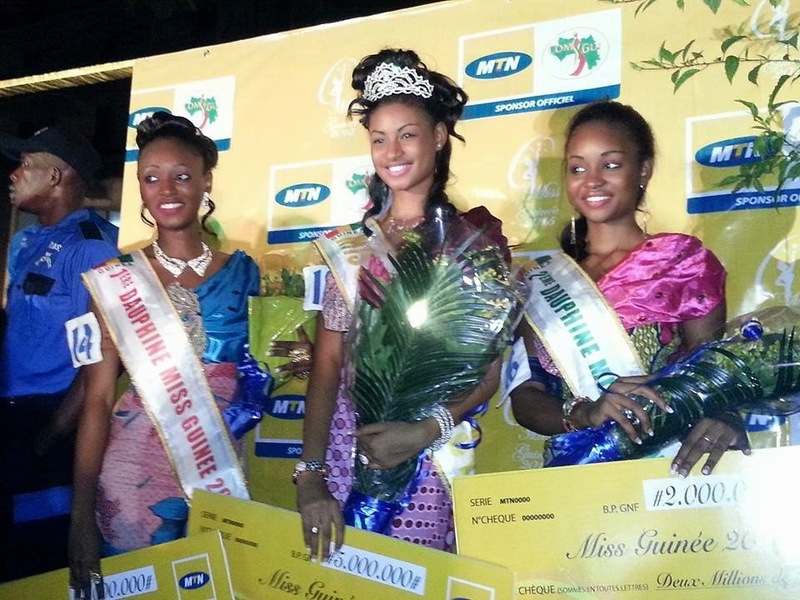 CONAKRY, Guinea - Mama Aïssata Diallo (18) was crowned Miss Guinée 2015 at the Grand Hôtel de l'Indépendance in Conakry on December 27. 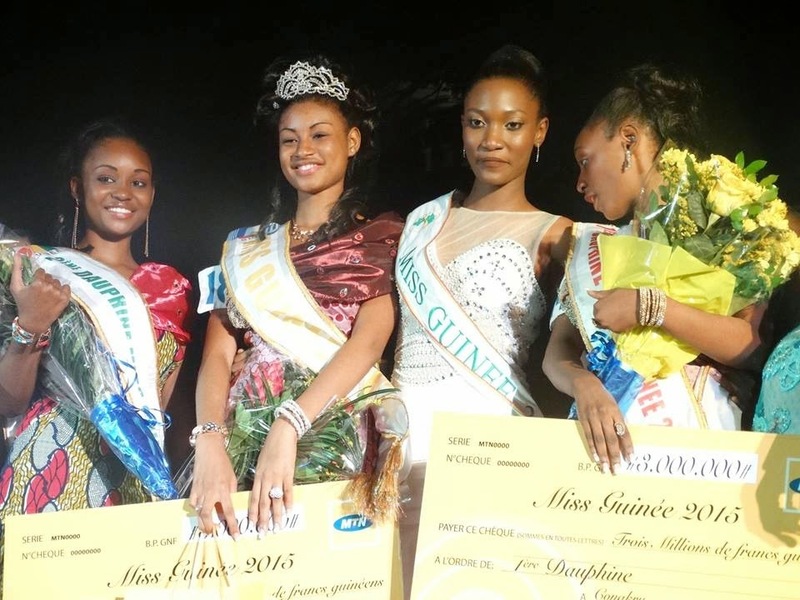 She will represent Guinea in Miss World 2015. Safiatou Diallo and Yero Bah finished in second and third place, respectively.